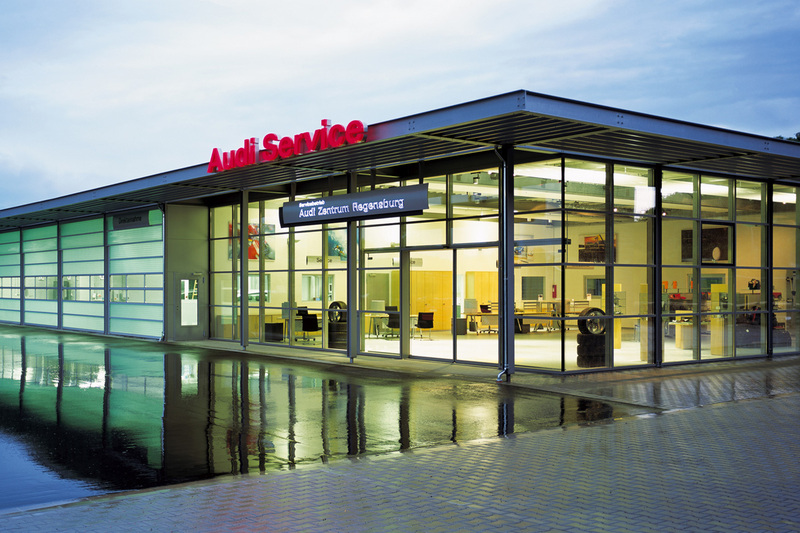 The master plan developed by intec for Audi’s service operation was put into practice for the first time in construction terms in Regensburg. 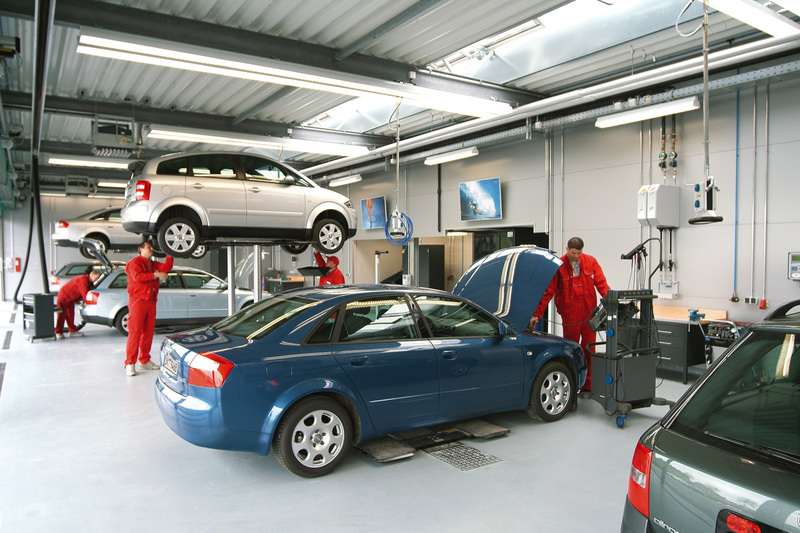 The workshop, designed as a service machine, presents itself in a clear design language stripped to the essentials. 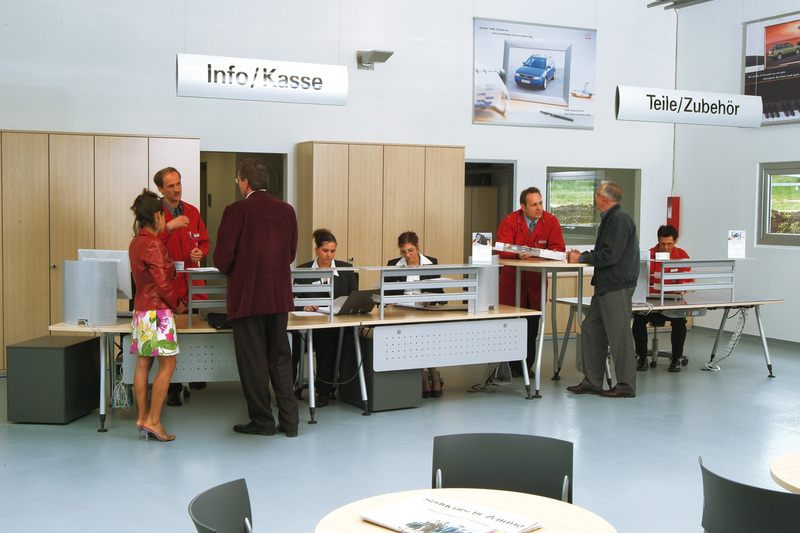 The work processes of a modern workshop are optimised by the spatial arrangement of the floor plan. One striking feature of the design is the emerald gate façade which is completely made up of gate segments from Butzbach. In order to make the steel construction visible as a design element in the façade, all the façade supports had to be thermally separated for reasons of building physics. 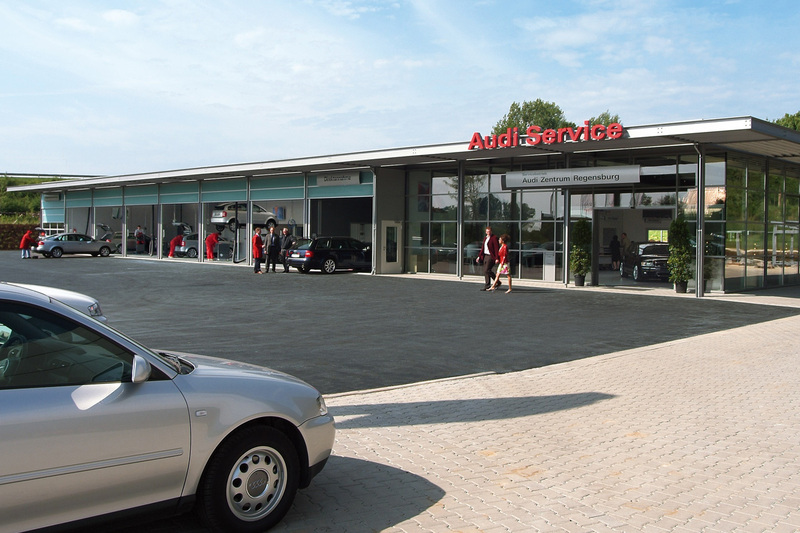 A non-slip epoxy resin coating was used as the floor covering as per CI specifications.